I had never heard of waistbeads until several years ago I met a woman named Sewra who designs these lovely waistbeads. Over the years I’ve seen her at several local crafts fairs and trunk shows and finally bought a set of waistbeads of my own to wear. Her designs inspired me to take a shot at making my own waistbeads to wear. Then last week I saw an ad in the paper about the Whole Bead Show this past weekend at the Metropolitan Pavilion in Manhattan and decided to check it out with the hope of finding some beads at discount. The event was filled with everyone from folks who make jewelry as a hobby to designers looking for new wares to incorporate into their collections. This event was the place to be if you do any dabbling in jewelry making. 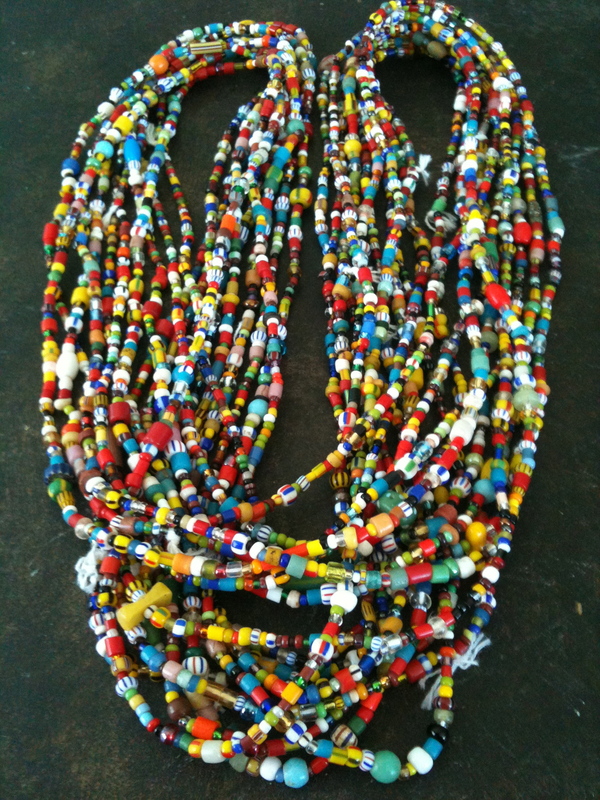 I snatched up a good deal these african christmas beads for only $2 per strand. Why they’re called “Christmas” beads is not known to me. Only thing I’ve read is they originated in Venice, Italy and were used by Europeans as currency in trade with Africans. These should make a nice set of triple stranded waistbeads. 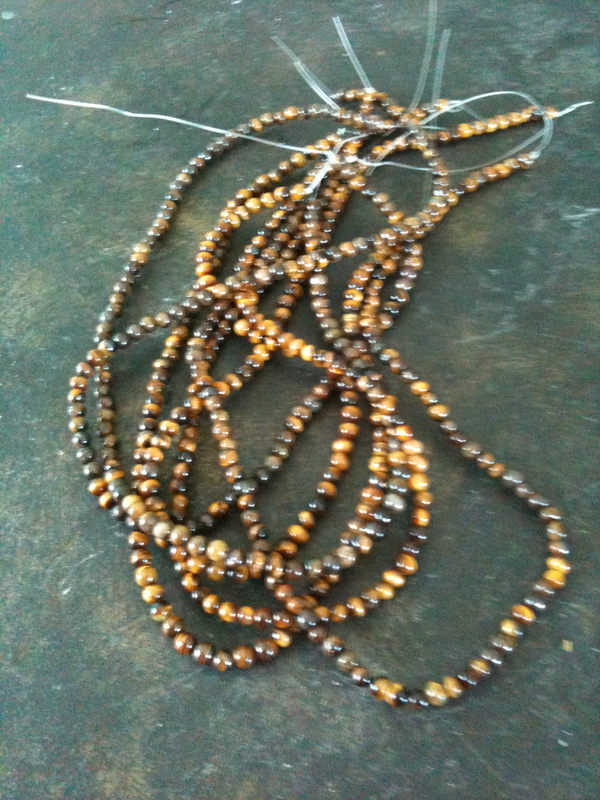 Later I found some tiger eye beads at another stand for $3/strand. At the time I just loved the look of them and they were the perfect size for waistbeads. Later I read tiger eye has metaphysical qualities of helping bring clear thinking & insight and protection from the evil eye. Can’t wait to see how these turn out. For those who believe there are healing powers, and a source of energy that lie in quartz and other stones the Tiger Eye crystal is a must have. You can purchase the Tiger’s Eye crystal in many different forms of jewelry including bracelets, pendants, and necklaces. Whether you choose to purchase them for yourself or to give as a gift it’s money well spent.